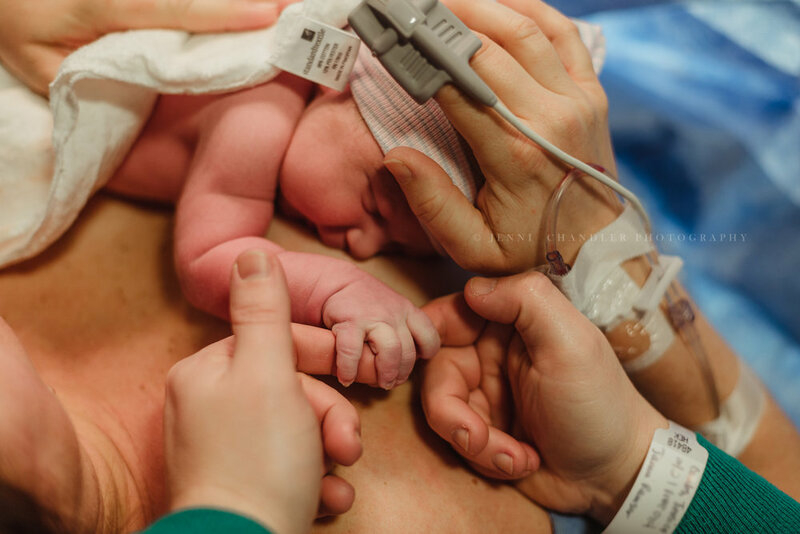 My FIRST birth story! 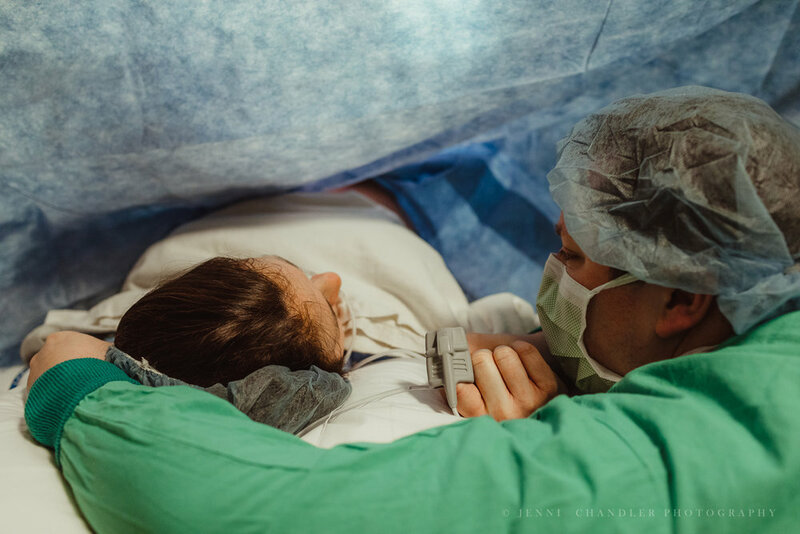 Not only the first time I had the honor to photograph a birth story, but also my first time witnessing a baby being born into the world. My experience was nothing short of amazing. 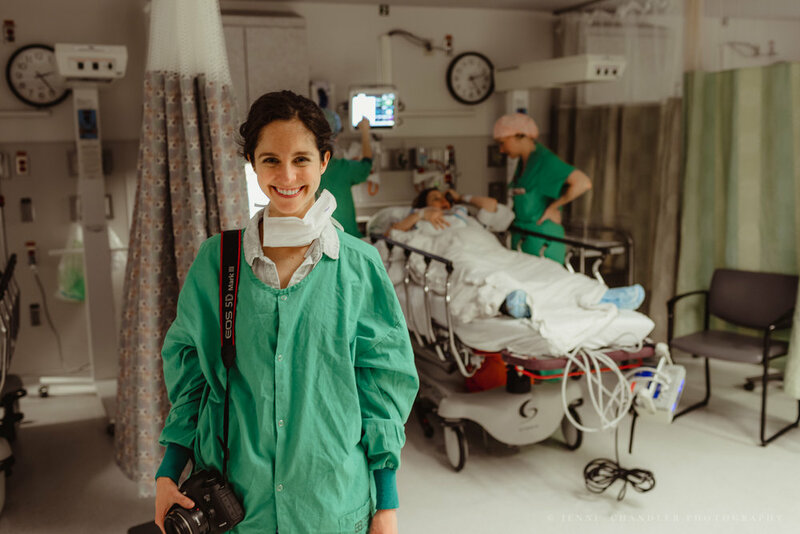 I met Jessica, the mother of baby Liam and talented photographer of Triple Crown Photography, a few weeks before her due date. 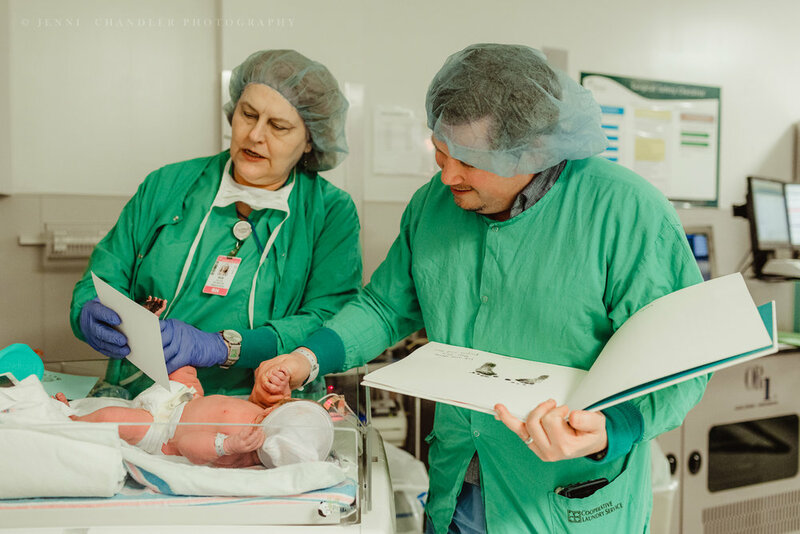 Jessica was excited to have photographs of the birth to look back on the day and remember the anticipation, excitement, and love at first site meeting her son. 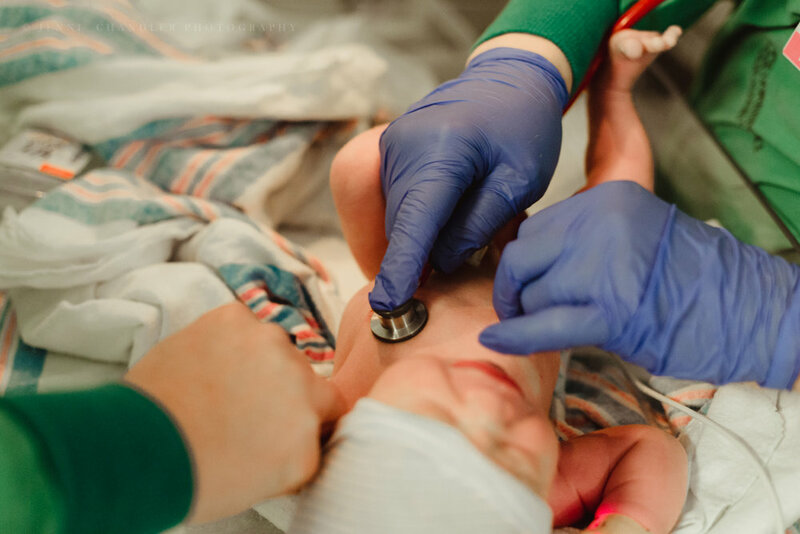 I barely slept the night before Liam's birthday - it felt like Christmas and I was so excited to witness the birth, the emotions, and meet the sweet new baby. 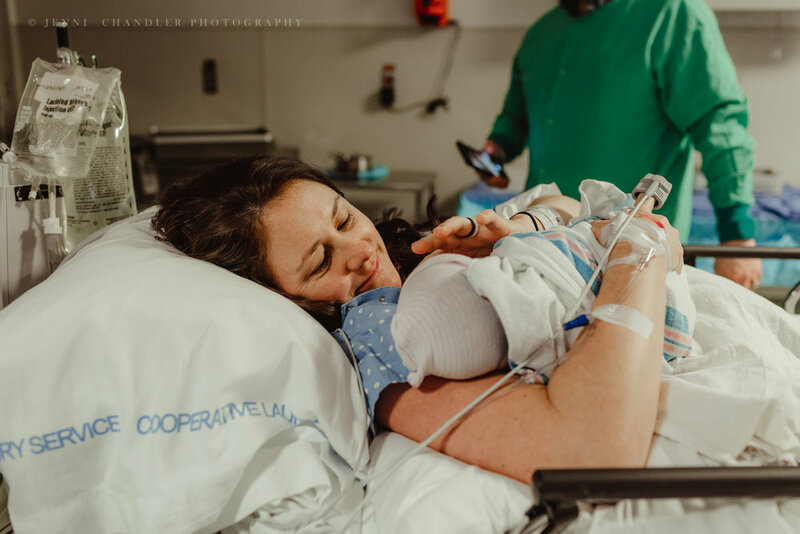 The day of the scheduled birth, I arrived at Mission Health in Asheville, North Carolina. Even though Liam had a set delivery time, the delivery was pushed back to make room for emergencies. 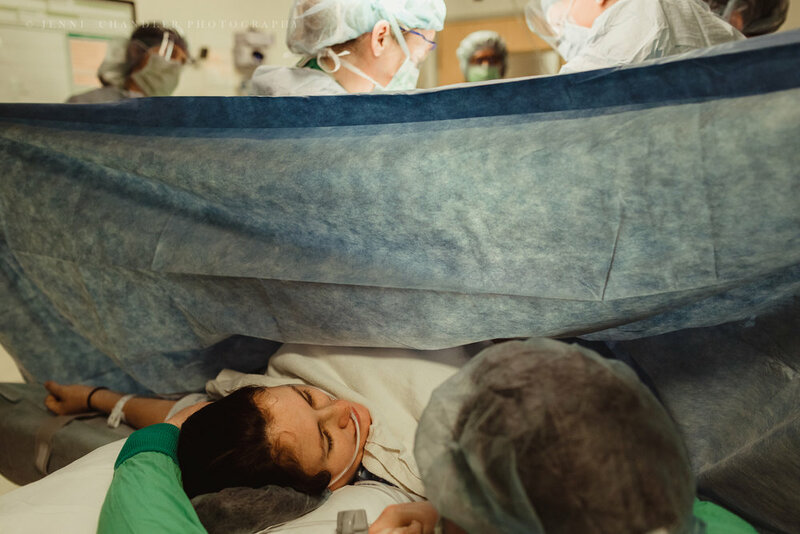 At last the time came to put on scrubs and make our way to the operating room. 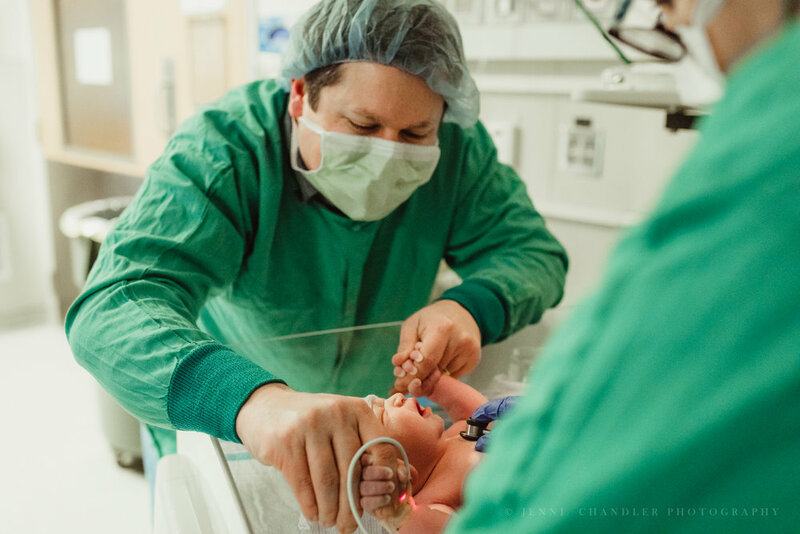 Jessica's doctor, Dr. Jamie Ramsey, was fantastic at making everyone feel comfortable for a smooth delivery. I'm pretty sure I stopped breathing for a few moments and a smile was plastered to my face as Liam was delivered into the world. 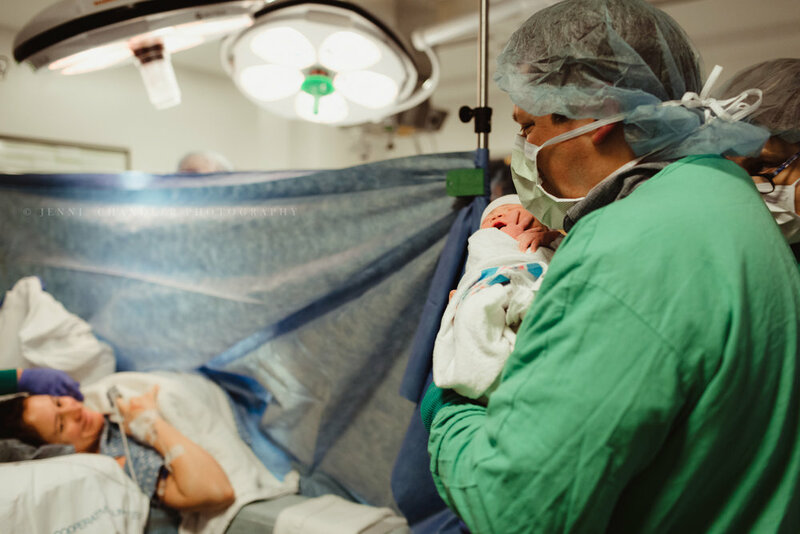 Waiting to hear his sweet cry, and then seeing the look on his parent's faces as Jessica, and husband, Mike, saw their son for the first time. I still get goose bumps just thinking about how special the moment was. Jessica kindly allowed me to share these photographs from Liam's birth. 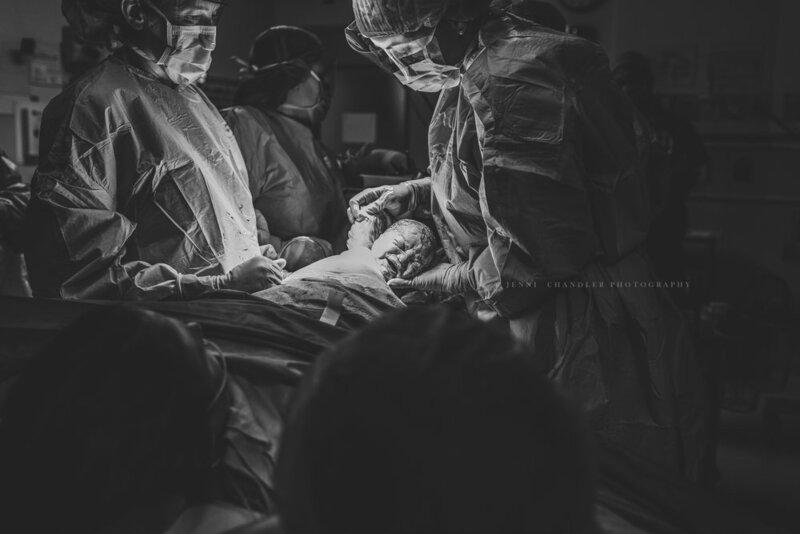 I can't wait for my next opportunity to witness another magical birth.